Back in 1969, when my grand-grandmother bought her first TV set, lots of neighbors came to her house to marvel at Neil Armstrong's first steps on the moon. Later on, I was told that none of our neighbors moved during the entire transmission, being eager to see and hear everything that came out of the small, black and white, wooden box. Fortunately for us, technology advanced quite fast, so more people were able to save the necessary money and buy their own TV sets. 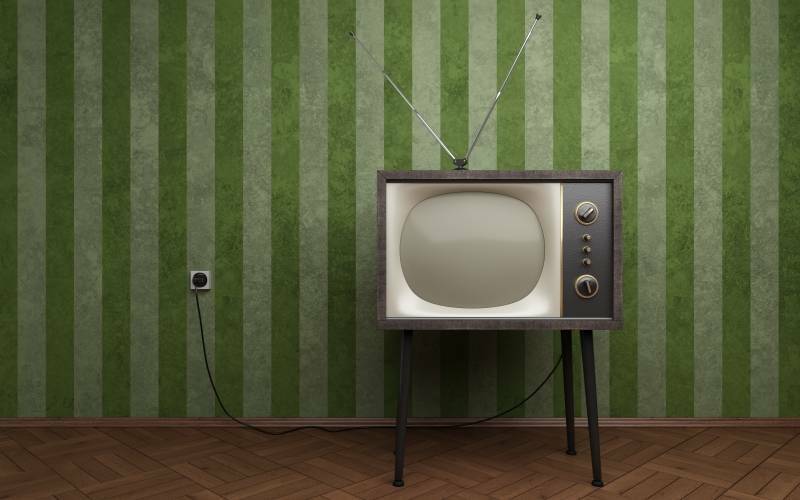 Almost 60 years later now, television is still an important part of most people's lives. Some of us spend lots of hours in front of the TV sets each day, because we crave for information and entertainment. But it has not been like this in the beginning; an interesting document kept at the Mass Observation Archive tells us that in the beginning, quite a few women were scared by TVs, thinking that they will negatively impact their lives. However, as time passed, people got more and more addicted to watching TV. And right now, things are changing from the ground up once again. Recent research has indicated a huge decline in the number of people who watch TV programs on a regular basis. Last year, 33% of the Americans cancelled their paid TV subscriptions, and the predictions for this year show that another 22 million people will go this route as well. The trend is at a peek amongst young people. Last year, neither the presidential elections nor the Olympics managed to keep youngsters in front of their TV sets. Apparently, senior citizens will probably continue to pay for cable TV services. Teenagers are more likely to navigate the Internet, and there is a constantly growing audience that watches news, entertainment or movies online. This explains why more and more TV companies have decided to launch streaming services. CBS is a clear example; since 2014, people were able to watch its "ALL Access" programs online: live TV, over 8500 CBS episodes (on demand) and more. Disney also plans to launch its own online streaming service this year. Psychologists have been warning for many years about the negative impact of the TV on the teenagers' lives. And the key factor was the amount of time that the average person was spending in front of a TV screen each day. But this year, for the first time ever, the average amount of time that is spent watching TV programs has dropped to under 4 hours a day. It may sound like good news, but on the other hand, the number of minutes spent by people online is significantly growing. Basically, people have given up watching TV, but they use online streaming services such as Netflix or Amazon Prime instead. Netflix has recently stated that their adult users need about five days to watch every episode in one of their series, using the services for about two hours per day. These days, more than 50% of Americans have active subscriptions to Netflix, Amazon Prime or Hulu, so they can watch their preferred programs from the comfort of their homes. There are several reasons for this, and ad-free programming is surely close to the top of the list. As a direct consequence, the amount of money paid by companies for TV ads has significantly diminished during the last few years.